welcome to all the new students who have chosen PIEAS as their academic home. Your introduction to life at PIEAS begins with our orientation programme for all first-year students, specially designed to familiarise you with your new environment and to guide you as you navigate the many opportunities opening up for you. The programme will guide and assist you through the transition from your familiar school environment to the diverse challenges of student life at PIEAS. You are expected to attend all the sessions and participate fully in the programme to reap its full benefits. The orientation provides the ideal opportunity to experience the stimulating diversity of our student community at UP, to meet new people, to make new friends and to learn about the experiences and viewpoints of people from widely divergent backgrounds from all over Pakistan. PIEAS provides and supports a holistic environment that not only provides academic qualifications, but also helps develop well-rounded individuals who will become responsible members of society. PIEAS extends full support for student governance structures, leadership development initiatives and the wide range of student societies and arts, cultural and sporting activities at PIEAS. May you enjoy the exciting journey that lies ahead as a proud student of PIEAS. On behalf of PIEAS, it is my pleasure as Pro-Rector to extend a warm welcome to all the new students who have chosen PIEAS as their academic home in 2018. It is the vision of PIEAS to be recognized at the national and international level as an Institute of academic excellence with high moral and ethical values, providing synergy between scientific research and technological development for national security and socio-economic benefits, encouraging and fostering an environment of mutual respect and free exchange of thoughts, where lack of resources on part of deserving students is not an impediment to acquiring quality education. PIEAS is committed to excellence in science and engineering education. We seek to impart education in fields which are essential for the technological development of Pakistan and, in particular, to play a pioneering role in fostering the establishment of educational programs in newly emerging technological fields in the country. We accord the highest priority to meeting the current and future trained manpower needs of PAEC and other technical organizations. We aim to provide a learning environment that fully stimulates the students' intellectual capabilities and also nurtures their personal development as future technological leaders. We are committed to ensuring the highest quality in all our endeavours, encompassing teaching, research, skills and developmental activities through an effective overarching quality enhancement framework. Maintain the highest ethical standards in all its academic activities. Create and sustain a programme of teaching / learning culture which is well organized, purposeful, progressive, and informed by modern scholarship. Keep the focus of all its academic offerings on meeting the trained manpower needs of the country in technological fields and, in particular, the specific needs of its strategic organizations. Ensure that curricula in all its academic programmes are kept updated with clear, explicit and appropriately demanding aims and objectives, which are realistically attainable and also meet the needs of students in terms of personal development as well as skills for employment. Provide for curriculum organization and delivery which encompass a range of effective methods of promoting high quality learning, with students having a variety of learning opportunities and experiences. Ensure that assessment methods are clear, explicit and consistent; are framed at the appropriate level and are effective in assessing achievement of defined subject aims and objectives. Maintain a process through which regular and systematic account is taken of student and external views in judgment of the curriculum, its delivery, and outcomes. Provide students with a learning environment which is fully supportive and responsive to their needs, and contributes effectively to the development of their leadership skills. Foster continuous improvement in the quality of teaching through faculty development programmes. Encourage active participation of faculty in research and other scholarly activities. 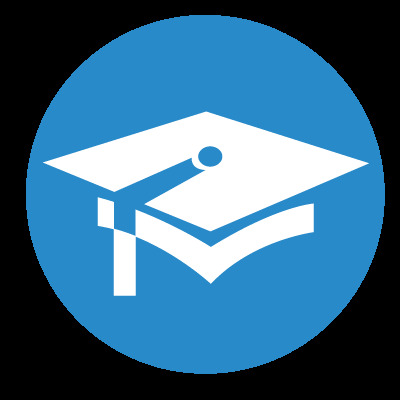 Deploy means for procuring evidence of student, faculty, staff and employer satisfaction. Ensure staffing at all levels which is sufficient in number and quality to efficiently conduct all the offered programmes and meet all administrative needs. Establish and maintain an academic infra-structure which fully meets all the needs of the offered programmes. Establish and maintain an organizational framework based on a comprehensive, coherent and transparent set of regulations, with a clear delineation of responsibilities of individuals and bodies within the institution. Establish and maintain an identifiable, functioning framework within which the institution measures and evaluates success in meeting programme objectives and promotes quality enhancement of all its academic endeavours. The seeds for this institution were sown in 1967, when a small training facility called 'Reactor School' was established at the Pakistan Institute of Nuclear Science & Technology (PINSTECH), to conduct some courses in nuclear technology for the young engineers and scientists of PAEC. Reactor School was formally affiliated with Quaid-i-Azam University (then called the University of Islamabad) for the award of a Masters' degree in nuclear technology through its Physics Department. Fellowship programme was instituted in 1972, under which science and engineering graduates were invited to compete for the award of attractive fellowships for the duration of the course. The Reactor School was upgraded administratively to the level of a Division of PINSTECH and was renamed the 'Centre for Nuclear Studies'. With its expanding activities, additional space became of paramount importance and therefore a separate building, located close to PINSTECH, was constructed, and CNS shifted to it in 1978. CNS introduced several new degree programmes which included M.Sc. (Systems Engineering) in 1988; M.Sc. (Nuclear Medicine) in 1989; and Ph.D. (Nuclear Engineering) in 1990. 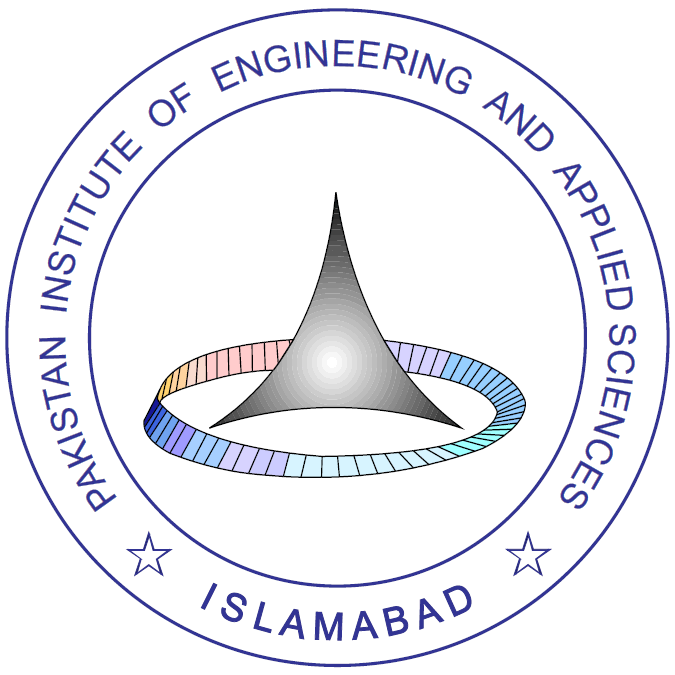 Due to enhancements in its infra-structure that created the capability for offering programmes in many different fields, its name was changed to "Pakistan Institute of Engineering & Applied Sciences", (PIEAS), in 1997. In April 2000, PIEAS was granted the status of a degree awarding institute by the Government of Pakistan to promote education and research at its highest standards in Pakistan. Today, PIEAS is a multi-faceted, degree-awarding university level educational institution, with academic and training programmes being conducted at the highest level in a broad spectrum of disciplines. Nestled in the serene setting of a beautiful countryside, Pakistan Institute of Engineering and Applied Sciences (PIEAS), Islamabad, is recognized as a preeminent federal public university devoted to higher education in specific disciplines of engineering, natural sciences and formal sciences. Although PIEAS offers BS, MS, M Phil and PhD degree programs, yet the postgraduate degree programs dominate. In addition to the degree programs, PIEAS also offers specialized short courses to engineers, scientists and other professionals for their continuing professional development. The length of these courses varies from 2 to 18 months and the areas covered have included reactor supervision and operation, health physics, medical physics, laser technology, vacuum technology, computer applications advanced reactor safety and management sciences. 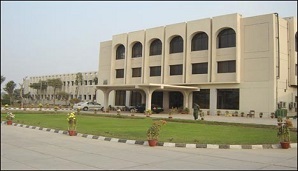 PIEAS's highly qualified faculty matched with excellent infrastructure are instrumental in its endeavor to offer high quality education in the disciplines of engineering and applied sciences, fulfill national and regional requirements for highly qualified professionalsand contribute to the welfare of humanity through education, research and development. The disciplines and the degree programs offered by PIEAS have been tabulated below. The regular duration of BS and MS / M Phil degree programs is 4 and 2 years, respectively. The majority of MS / M Phil students at PIEAS are sponsored by national organizations. The students receive a monthly stipend of Rs. 25000/-. The sponsored students do not pay any tuition fee and they are provided free hostel accommodation.On completion of MS / M Phil degree, the sponsored students are inducted by the sponsoring organizations with three premature increments and a benefit of 3-year service towards their first promotion. PIEAS has around 135 highly qualified full-time faculty members in the diverse fields of physical sciences, engineering and medicine. Eighty (80) of them have PhD degrees from the reputed institutions of USA, Canada, UK, Germany, France, China, Japan, Austria and Australia. Another 25 faculty members are expected to complete their PhD studies during 2013 and 2014. PIEAS faculty members have published more than 650 papers in international journals and have been decorated with 03 Sitara-e-Imtiaz, 02 Tamgha-i-Imatiaz, 3 President's Pride of Performance, 1 President's Medal for Technology, 1 Aizaaz-e-Kamal, 3 Aizaaz-e-Fazeelat, and 9 Best Teacher Awards. The PIEAS campus is sprawled over an area of about 150 acres. 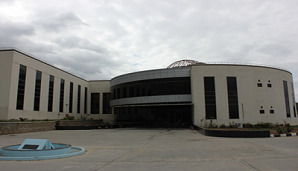 The physical structure comprises of 9 academic blocks, 8 workshops, production-plants for of liquid nitrogen and oxygen, 30 laboratories, lecture halls, video-conferencing facility, conference rooms, a 400-seat auditorium. PIEAS has a large number of well-equipped laboratories. The current major areas of academic and technical activities available at the institute are Computer and Control Systems, Applied Electronics, Applied Mathematics & Numerical Analysis, Analytical Chemistry, Nuclear Engineering, Materials Science & Materials Engineering, Chemical Engineering, Mechanical Engineering, Radiation Physics, Optics & Laser Physics, Polymer laboratory and Nuclear Medicine. 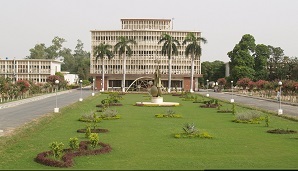 A state-of-the-art computer center with 200 computers provides computational facilities around the clock for seven days of a week. PIEAS is an associate of PERN network has the access to HEC Digital Library that can be accessed from any one of the 1500 nodes of PIEAS Local Area Network. Internet facilities are available even in student hostels. The PIEAS library holds a repository of more than 15000 artifacts and it also subscribes to both technical and academic journals. PIEAS Library has extended hours to facilitate students' access to the library. A new library block is under construction. PIEAS provides hostel facilities for both female and male students. Majority of the students stays in the hostels. There are eight hostel blocks including a separate female hostel, subsidized mess, canteen, fitness centre, a rest-house, indoor and outdoor sports facilities. A post office, a bank and shops for commonly required items are available in the vicinity. A newly constructed mosque is a recent addition. PIEAS, today is a multi-faceted educational institution, with academic and training programs being conducted at the highest level in a broad spectrum of disciplines. These are complemented by an active R&D program, which now also extends to working on industry related projects. In this context, several products of industrial use, like PC-controlled drill machine, PC-controlled milling machine, and robotic manipulators have been developed. Specialized systems for educational purposes such as PC-controlled multi-variable tank have also been supplied to various institutions. Currently there are more than 100 doctoral candidates registered in the PhD program in Nuclear Engineering, Systems Engineering, Physics, Nuclear Medicine and Computer Science. The educational programs at PIEAS are open to everyone who fulfills needed qualification and academic excellence. There is no quota of any sort. Admission to undergraduate programs is based upon performance in the entry test and the marks obtained in matriculation and FSc examinations. For candidates with O-level and A-level education, equivalent marks are used. Admission to the graduate programs is based upon the entry test and interview. However, the candidates must fulfill the minimum criteria of performance in the pre-requisite examinations and degree. Regularity in classes and other academic activities has the top priority at PIEAS. Faculty members are highly qualified and devoted to their profession. The infrastructure and the environment at PIEAS are highly conducive for scholarly pursuits. All of these inputs facilitate turning out of a special class of graduates, who look forward to work on challenging technical tasks. Performance of PIEAS graduates in national organizations has been outstanding and their contribution to national programs have been recognized through conferral of national civil awards, namely, Hilal-e-Imtiaz, Sitara-e-Imtiaz, Tamgha-e-Imtiaz and Pride of Performance. PIEAS's excellence was recognized on the national level when PIEAS was declared to be the best Engineering University in Pakistan by the Higher Education Commission (HEC) in its first ever ranking of universities in year 2006. PIEAS successfully defended its title as the Best Engineering University in Pakistan in HEC's second ranking carried out in year 2012. PIEAS has active links with the reputed universities in developed countries and these links have been very helpful for excellent development of PhD program at PIEAS. PIEAS insignia is an embodiment of two mathematical visualisations. ; a Mobius strip and a triangular surface. The Mobius strip or Mobius band is a surface with only one side and only one boundary component. The Mobius strip has the mathematical property of being non-orientable. It was discovered independently by the German mathematicians August Ferdinand Mobius and Johann Benedict. If one were to travel along the length of this strip, one would return to its starting point having traversed every part of the strip without ever crossing an edge. The shape of the Mobius strip probably dates to ancient times. An Alexandrian manuscript of early Alchemical diagrams contains an illustration with the visual proportions of the Mobius strip. The Euler characteristic of the Mobius strip is zero. The three arcs of the triangular surface,formed by three adjoining spheres, represent application, research and knowledge. Research can be defined as the search for knowledge or any systematic investigation to establish facts. The primary purpose for applied research is discovering, interpreting, and the development of methods and systems for the advancement of human knowledge on a wide variety of scientific matters of our world and engineering approaches to solve the problems. The concept for the insignia was initiated by Dr. Abdullah Sadiq (former Rector PIEAS) and Dr. Anwar Majid Mirza. 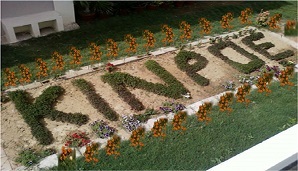 The computer visualization was made by Mr. Umar Faiz. After evolutionary period, in which many people contributed and advanced the concept, the insignia in its present design was finally adopted. Karachi Institute of Power Engineering (KINPOE), has been established by the Pakistan Atomic Energy Commission, (PAEC) to develop qualified manpower for its nuclear power program. The main task of Karachi Institute of Power Engineering (KINPOE) is to develop human resource in the field of Nuclear Power Technology for which it provides education and training to scientists, engineers and technicians. National Institute of biotechnology and genetic engineering (NIBGE) is one of the leading biotechnology institutes in Pakistan. The research programs at NIBGE are mainly aimed at improving agriculture, health, environment and industry, and are supported by national and international financial grants. The MPhil and PhD program has been introduced in affiliation with Pakistan Institute of Engineering and Applied Sciences. The Nuclear Institute for Agriculture and Biology (NIAB)is primarily a research institute involved in goal-oriented biological and agricultural research. Nestled in the serene setting of a beautiful countryside, Pakistan Institute of Engineering and Applied Sciences (PIEAS), Islamabad, is recognized as a preeminent federal public university devoted to higher education in specific disciplines of engineering, natural sciences and formal sciences. Although PIEAS offers BS, MS, MPhil and PhD degree programs, yet the postgraduate degree programs dominate. In addition to the degree programs, PIEAS also offers specialized short courses to engineers, scientists and other professionals for their continuing professional development. ..